Tempo and Speed: What Do They Call "S'Mores" in the UK? What Do They Call "S'Mores" in the UK? High on everyone's list of things to love about summer, you will find "s'mores". But you can also add them to your list of why it's great to live in America. It might be obvious but s'mores are definitely an American treat and aren't necessarily known or enjoyed around the world. 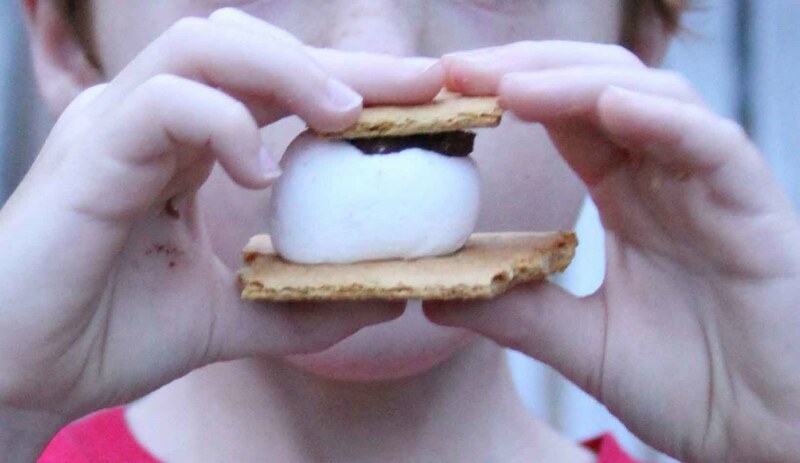 Per Wikipedia, the first recorded recipe for the gooey summer snacks was found in a 1927 Girl Scout publication although listed as the more gramatically correct "Some Mores". When the name was amended, no one knows for sure. Girl Scout literature has various recipes for the properly named dessert through 1971. Sometime after that, we dropped the "ome". I suspect the shortened version came from some Southern Girl Scout troop. Just a guess from this Southern girl. Grammar aside, I say Yay Girl Scouts! 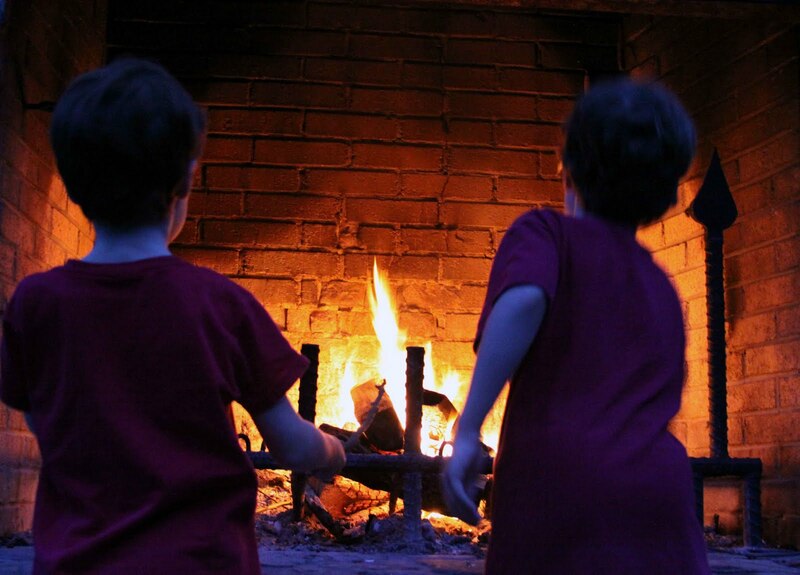 In my typical American ways, I assumed that s'mores were the worldwide benchmark for the ultimate fireside dessert. It's just one of those American things, like Coke or Michael Jackson, that the rest of the world has adopted too, so I thought. But apparently s'mores haven't the marketing machine that the aforementioned products have. At our family reunion last weekend, I found someone who had never had s'mores, and worse yet had never heard of them! This deprived person was raised across the pond in one particular Northern part of the UK. He is well-traveled and has lived off and on in the US for several years. Much of that time in the US was spent in the South even. 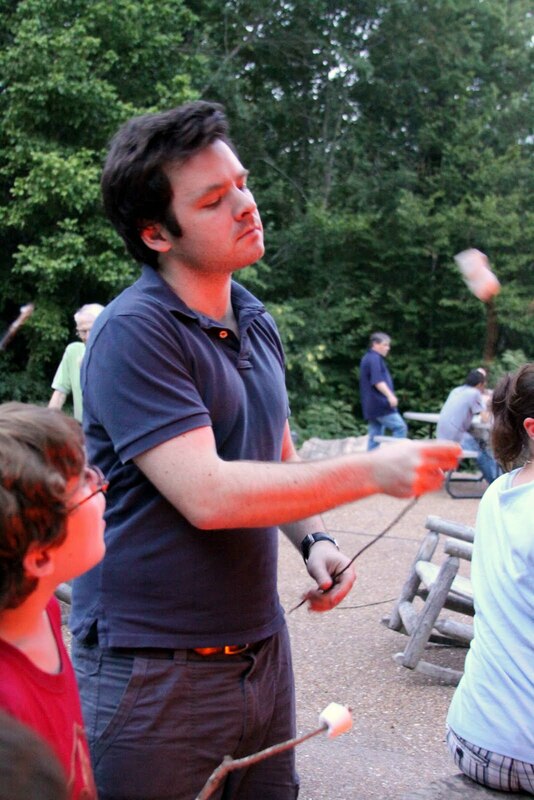 So for him to have unfortunately missed s'mores for all the years is a travesty. He should be severely upset with his American friends who have kept s'mores from him. 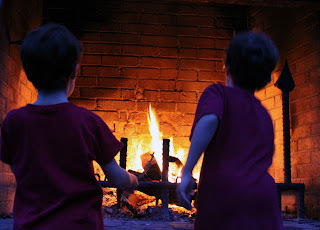 But we, as nearly family, introduced him to s'mores and corrected that wrong. We didn't have the fancy basket s'more making contraption where you fit all the ingredients together and hold over the fire. So we had to make them in steps. We all knew what we were doing, even the youngest among us, but we had to teach our sheltered companion. 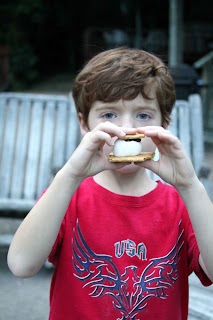 He was delighted with the entire s'more process, from finding an appropriate stick for roasting the marshmallow (he questioned the hygienic properties of this) to finally squashing the marshmallow and chocolate between the grahams. He loved the taste explosion. He loved the crispiness that your teeth first meet followed quickly by the sticky goo of spongy confection mixed with the creamy chocolate. He loved starting the process all over again...and again. What's not to love? So amend your lists. Add s'mores to your reasons to love your country. I know one man who has already added them to his list of reasons to stay. No graham crackers. No Hershey bars. No 'normal' marshmallows. Hence, no s'mores. LOVE s'mores! Guess that's another thing we have that they don't, huh? Sonic has Campfire Blast that's yummy! Yum! Anything with chocolate is great but s'mores probably tops my list. I live in the UK, and I recently made an UK version on s'mores, but in bar form - you can see them here: www.madewithpink.com It's a shame we don't have graham crackers here, so every time I go back home to Canada I bring home a ton of baking supplied. A few boxes of graham crackers will be making their way accross the pond in a few weeks! 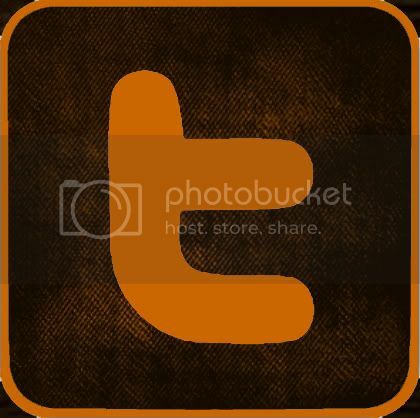 Loved this post, too :) Pshaw! on the fancy smores "kit" you mentioned. Smores are SO about the PROCESS! Now, banana boats...that's another story. Yummmm. Continental square biscuits coated in chocolate is a good alternative - melt marshmallow and sandwich between 2. Probably not the same but the best I've found in the UK!!! I like how you try and make it sound like the US is superior to the UK by pointing out that we don't have S'mores or make S'mores 'Traditionally'. I used to be a Scout and we would make something very similar, but instead of Graham crackers we would use Chocolate Digestives and Marshmallow. I think 'adding it onto a list of reasons to stay' is a little ignorant, and do remember we have a lot that you don't have, America. Also, is Hershey's really needed to make a true 'S'more'? It seems a little picky.